The westernmost part of Manhattan, between 34th and 39th street, is pretty industrial. There’s a bus depot, a ferry terminal, and a steady stream of cars. But in the late 19th early 20th centuries, this was cow country. 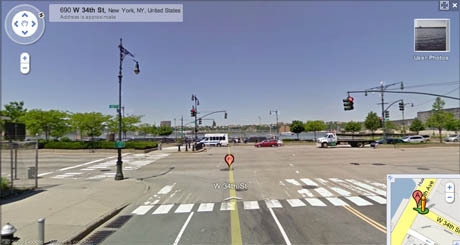 Cows used to be ferried across the Hudson River from New Jersey, herded across Twelfth Avenue (now the West Side Highway), and brought to this part of town to be made into beef. You’ve heard of the meat packing district. This was like the meat hacking district. It was nicknamed “Abattoir Place.” It was a hive of bone boilers and hide stretchers and lard renderers. There was a disassembly line for every single part of a cow. 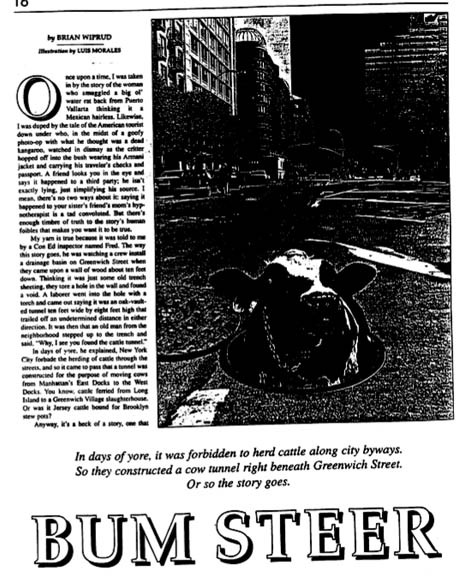 As more and more cows were ferried to the slaughterhouses in Manhattan, it became impossible for passing herds to to coexist with Twelfth Avenue traffic. Not only did the number of cows increase, but so too had the number of carriages, and trains, and, eventually, cars. Cows were in the way. There were reports of epic cow jams on Twelfth avenue. That’s why people invented cow tunnels. Or at least the story of cow tunnels. At one point there might have actually been tunnels made expressly for cows to march underneath Twelfth Avenue to the abattoir. Or people might have just invented this crazy story about cow tunnels because everybody loves a good, vaguely plausible urban myth. We have tunnels for cars, for subways, electrical cables, and the internet. Could there be subterranean infrastructure for cows, too? Writer Nicola Twilley first heard about cow tunnels in a book called Raising Steaks by Betsy Fussell. Fussell writes, “Traffic was so heavy in the 1870s that a ‘Cow Tunnel’ was built beneath Twelfth Avenue to serve as an underground passage. It’s rumored to be there still, awaiting designation as a landmark site.” Just that little mention. Nothing else. Thus began Nicola Twilley’s quest to figure out whether the cow tunnels ever actually existed. 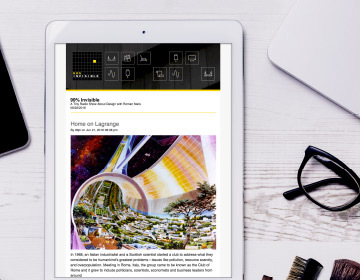 Twilley found an article by Brian Wiprud, a utilities specialist for the structural engineering firm Weidlinger Associates. It’s Wiprud’s job to figure out how to get from point A to point B underground in New York City if, for example, Con Edison is cutting a trench for electrical cables. 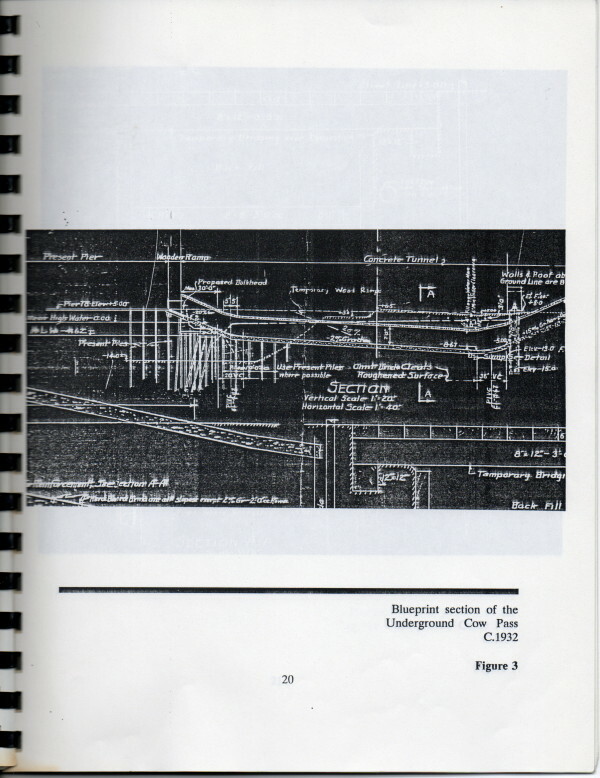 Wiprud investigates all kinds of anomalies they find underground when doing digs. In 1997 Brian published an article in a local newspaper called the Tribeca Trib. Wiprud asked around about the cow tunnel. He found that a lot of people had heard of it, but it seemed that no one was consistent on (a) its location, (b) what it was made out of (wood, brick, etc. ), and (c) when it was constructed. And even Wiprud realized that he was not consistent about how he told the story. Over time he began telling the story as if he had seen it himself—which, according to his own 1997 article, he hadn’t! With every telling of the cow tunnels story, the facts seem to bend. So could their existence be proved? Behold! A cow emerging from a tunnel! Could this be evidence? Yes—but not definitively. We can’t see where the tunnel is located. And it’s an engraving, not a photograph, so artist interpretation is a factor. And the proportions are all askew—either the cows are giants or the worker is tiny. Courtesy of Faline Schneiderman, Historical Perspectives, Inc.
Faline Schneiderman of Historical Perspectives Incorporated, offers more compelling evidence. In 1991, the state was planning to redo Route 9A and contracted Historical Perspectives to do a historical study of that former meat processing area at Twelfth Avenue in the upper 30’s. 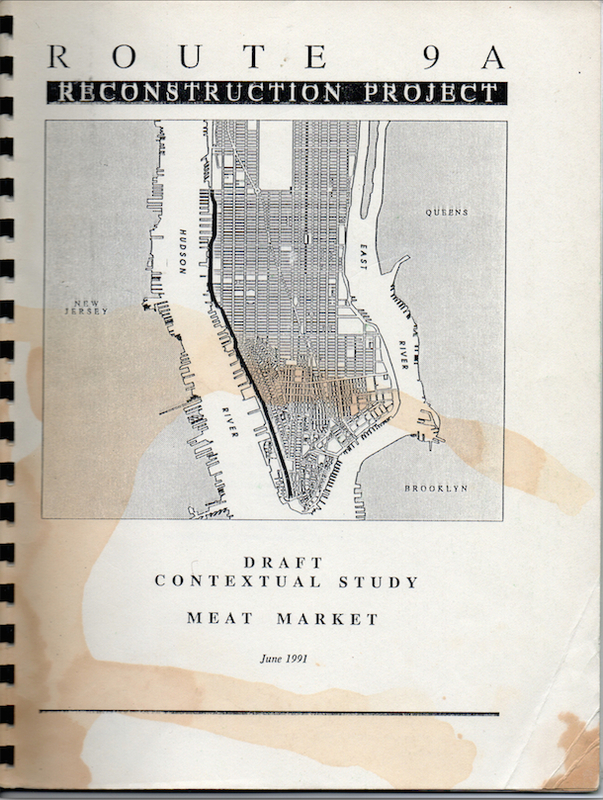 Schneiderman researched a bunch of old maps and documents and she wrote the final report. And we know that this tunnel was actually built, not just planned, because it’s on other maps that were made of the area later. Some people swear that it’s still intact. Others have said that we might be able to find an entrance in one of the piers in one of the buildings without having to excavate the roadway itself. 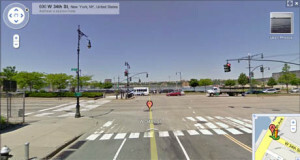 But this is all right next to the Javitz center and the Lincoln Tunnel. So If a cow tunnel was there was once upon a time, it was most likely pulverized during all of that construction. 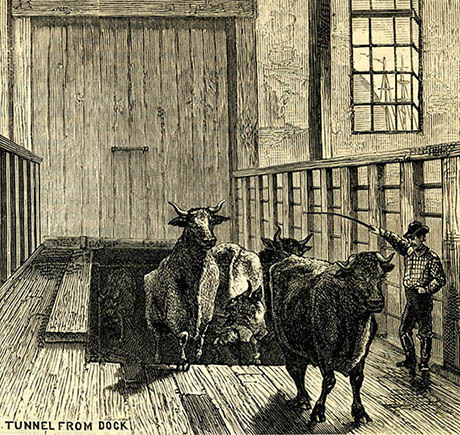 In her research, Twilley found evidence for another cow tunnel at 34th Street—the one in the Harper’s Weekly engraving. A New York Times article from 1875 read, “There runs a tunnel under Twelfth avenue where the animals are brought into the shambles. In fact, the cattle are never seen by the outside public from the time of their landing until they are converted into beef.” It seems that may have been the pivotal moment when Americans began to become detached knowing where our food comes from; when the way cities get fed becomes mysterious and invisible. 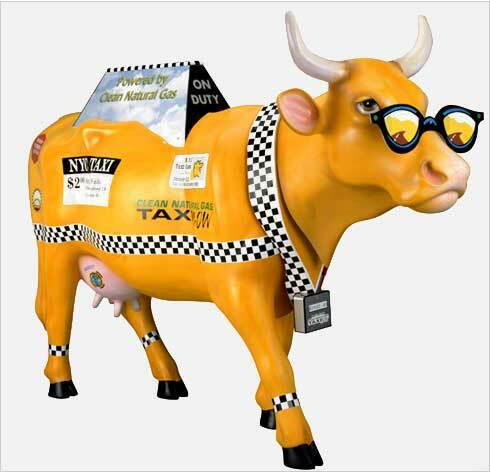 Today, the only cows to be seen in Manhattan are art. However, this is one remaining cow tunnel in Cambridge, MA. If not for the plaque, there’d be no way to know that the cow tunnel is there. 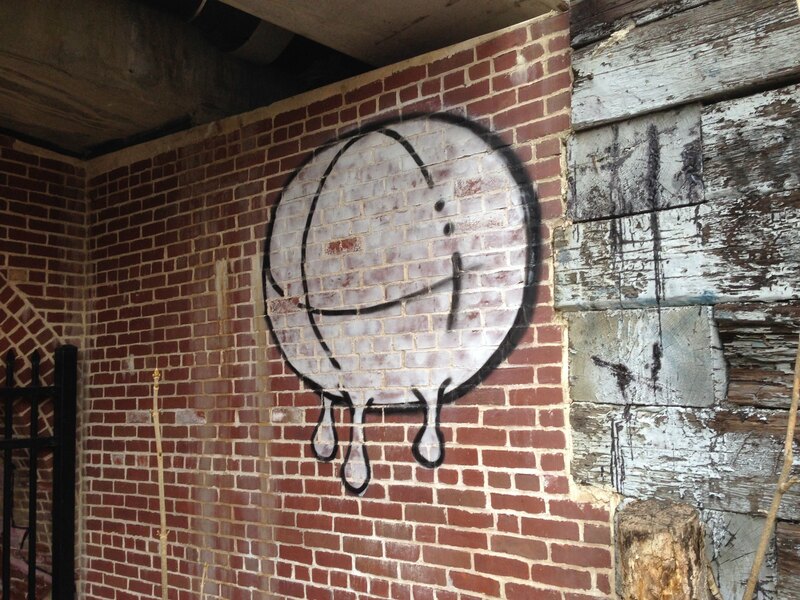 It’s tucked away in a railyard, off-limits to pedestrians. 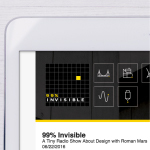 99% Invisible contributor Sean Cole spoke with Nicola Twilley of Edible Geography; structural engineer (and author) Brian Wiprud; and Faline Schneiderman of Historical Perspectives Incorporated. Squarespace site of the week: Answer Me This Store. This is a great podcast; you should subscribe. I even called in with a question on this episode. Haha, what did you do to get banned? Your link at the bottom to Edible Geography links to Wiprud, just a note.. Awesome show! Thanks! OMG, is there an address to that Cambridge Plaque? I’m a Bostonian, and really want to see it. How close is it to Mass Ave and Walden? It’s at Walden and Mead. Not far from Mass Ave.
Great show. 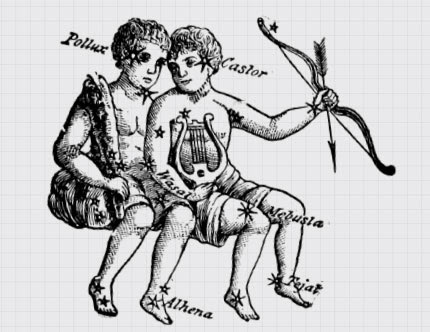 My parents were friends with an older couple who lived in Cambridge, MA. About 20 years ago I was chatting with the husband, who’d grown up in Cambridge. He said that when he was a boy he’d seen cattle driven through Harvard Square. I’m guessing that would have been about 1910-1915. The NYC GIS has complete aerial photography for the city from 1924 and 1951, and I immediately went sleuthing on it after I finished this episode. You can see a lot of context clues for the 1932 tunnel by toggling between the two sets of images. The 2-story slaughterhouse appears on the 38/39th Street block, though by 1951 12th Avenue is elevated on a viaduct. It’s interesting to note that in 1924, 12th Avenue doesn’t exist as a major artery between 30th and 48th Streets, and uptown traffic dead-ends into a railyard at 37th Street. The whole area is dominated by at-grade rail lines, which is why it’s unsurprising that most of 12th Avenue and large portions of 11th Avenue and 34th Street were lifted onto viaducts; a simpler and less exciting method than cow tunnels. I believe you can get a good look at the Cambridge Cow Tunnel from the Fitchburg commuter train. If you are heading toward Fitchburg, the tunnel comes about a half mile after Porter Square station, on the north side of the train. Before it was renovated, a homeless guy lived in the tunnel, which I suspect is one of the reasons it is gated off now. 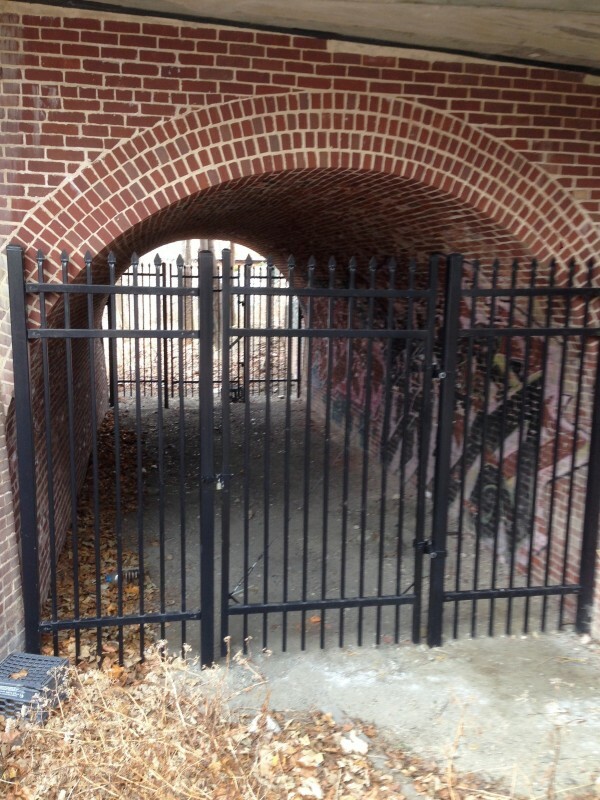 I’ve heard Old Timers talk about cattle drives through Union Square, Somerville, which is about 1 mile from this tunnel. And Bernard, one of the posters above, mentions cattle drives through Harvard Square, which is also nearby. If you like cow tunnels, you ought to jump over the pond and make a visit to where I work, Smithfield Market, in London. Meat has been sold on this site for over 800 years (yes, 800!) and it is still an active meat market in the middle of central London. The 99% Invisible episodes are a true highlight of my week. I even got my husband listening to them, too. There is a cow tunnel under I-205 (or is it I-505) between Vacaville and Winters to enable the dairy cows go between pastures & the milking barn. Thanks for answering a question I’ve had for years, but never bothered to do anything about! I’ll have to go Read The Plaque! Extremely impressed as usual folks at 99% Invisible. Thanks for sharing the information. You guys are great! Not as impressive because we’re not a big city, but there are Cow Tunnels in my town of Holliston, MA. Are there more tunnels? There must be more! St.Louis? Baltimore? We must find them! I was on a site visit about 6 or 7 years ago for an affordable housing development site in the Bronx, at the corner of E 156th St & Brook Ave, next to an abandoned rail line. The guides describing the site (who I believe were from the city) said that there were a series of cow tunnels under Brook Ave to take cattle from the rail line to the slaughter houses on the other side of Brook Ave. I think they were closer to E 153rd, though. The site now contains the affordable housing development called Via Verde, and I’ve never heard anything more about the cow tunnel. If anyone is interested, I’m sure someone involved with that development knows more about it. I have seen, with my own eyes, in Northern California, a cow (perhaps a bull?) that was taller at the shoulder than the farmer leading him/her from one pasture to another. The bovine was the size of a small elephant. I kid you not. I was gobsmacked. A few years ago the Walden Street bridge (over the railroad tracks) was rebuilt. My job was nearby and I watched some of the work. I noticed elaborate old-school brickwork apparently under restoration and wondered what the story was. 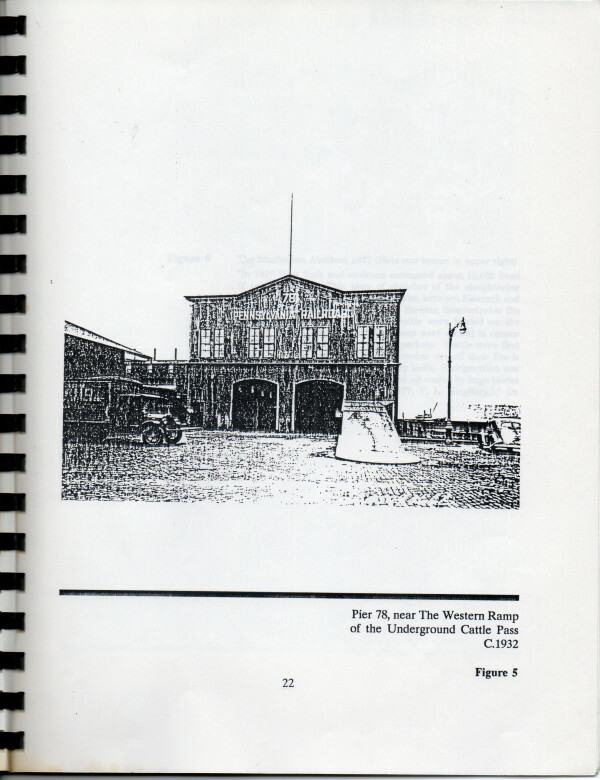 It is fun to find out, and I am glad they could preserve the tunnel. 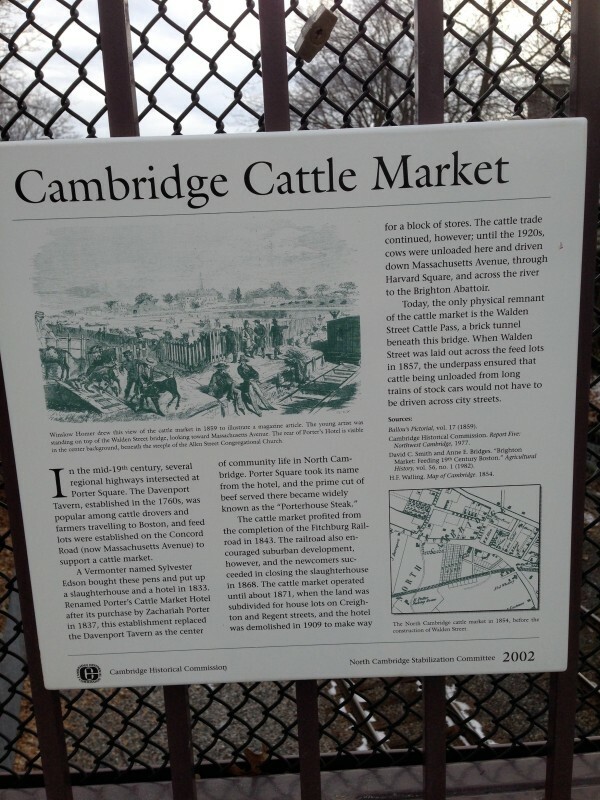 The bridge is about a quarter mile from Porter Square, the Wikipedia article of which yields more cattle-tunnel lore. Origin of Porterhouse steaks? Maybe. 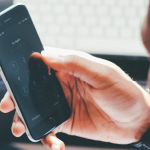 Please, PLEASE refrain from using the RadioLab-like techniques of repetition, fake laughing etc. – it’s so dumbed down. Ugg, not another one of those radio shows. Those seem like pretty normal-sized beef cattle in the engraving, btw, so the scale might be perfectly normal. New Zealand has one, hand cut through rock by 3 men with picks in 1911. So can cows go underground? They could lead to an underground moo-vement. Given that so many expensive horses cross Newmarket roads every day, and given how many people’s livelihood depends on racing – directly or indirectly – it’s not really a surprise that the riders get their own button up too high for pedestrians to use. In Newport News, VA, when Interstate 64 was built*, it split a large dairy at Jefferson Ave. The Commonwealth built a tunnel under the new highway for the cows. I remember as a child, traveling on Jefferson, seeing the cows being led through the tunnel. It was fascinating to see cows disappear into the ground. Not the diary is no more. The site contains a mall, a hotel, offices and a large residential area. On each side of the Interstate are large ponds where the cow tunnels were allowed to flood.